As you may have read in a previous post, I had submitted 4 designs to an international competition to design a sock. 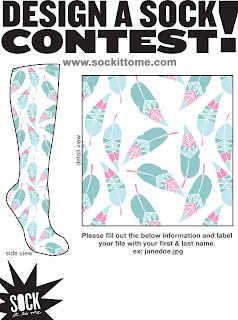 I am so excited to say that my feather design is in the final 25! Now, all it needs is plenty of votes to go through to the final 10. To vote (if you feel like it) please click the picture to head over to the facebook page.